BUFFALO, N.Y. — Correcting what one group calls the “Kensington mistake” comes with a huge price tag. The group, Restore Our Community Coalition, estimates it would cost around $500 million to create a green parkway over the 33 from Best Street to Ferry Street. The stretch we’re talking about goes for almost three-quarters of a mile. It was the topic of a town hall meeting Tuesday night. The Buffalo Common Council approved getting rid of the original parkway back in 1954, and this coalition wants to restore the Kensington back to its original design, a tree-lined parkway, by covering the expressway. They showed many examples of other cities that have successfully built green parkways over highways including Seattle, Dallas and Phoenix. The goal of the Restore Our Community Coalition in 2016 is to raise money. Its leaders explained where it could come from. “Hopefully, from the federal government and some philanthropists. This has been done across the country and different cities with a combination of both. In some cases, most of the money came from philanthropists, and in other cases most of it came from the government. But no matter what the cost is, we had a study done by UB and it will pay for itself plus create profit to the community” said Richard Cummings from ROCC. Assemblyman Sean Ryan was at the meeting. His spokesperson tells us that like any major road construction project, this would need a combination of state and federal funding. Ryan is involved now, early on, to help figure out what those funding sources might be. Nothing has been approved, but this coming year, the Coalition wants to come up with a preliminary design, do an environmental assessment, produce plans, and fundraise. 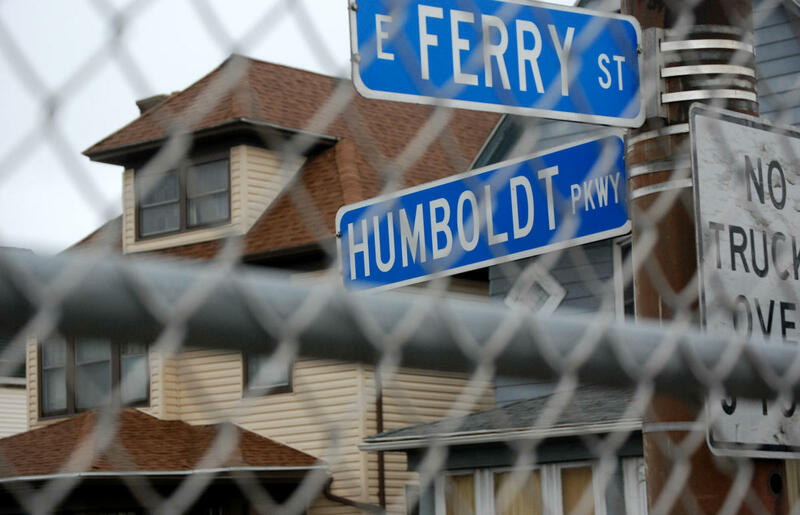 BUFFALO, N.Y. (WIVB)- Community leaders in Buffalo want to restore Humboldt Parkway to its former glory. The ambitious plan is still in the preliminary stages. “Something of this caliber can be accomplished in the City of Buffalo,” said Bradley Bethel, Jr. with Restore Our Community Coalition (ROCC). ROCC spoke in front of NYS Department of Transportation representatives and public officials, including Assemblyman Sean Ryan, on Tuesday night. The group has been working on plans to change the road pattern since 2012. The Kensington Expressway cuts right through East Side neighborhoods. “You can’t cross it to get to a store or even see a neighbor,” said Inez Hord, a longtime resident. Hord has lived a block from Humboldt Parkway since 1962 and remembers what the road was like before that section of NY-33 was built. “Beautiful, with trees, grass and greenery, children playing in the parkway, just beautiful,” said Hord. A group of community leaders want to restore the parkway. 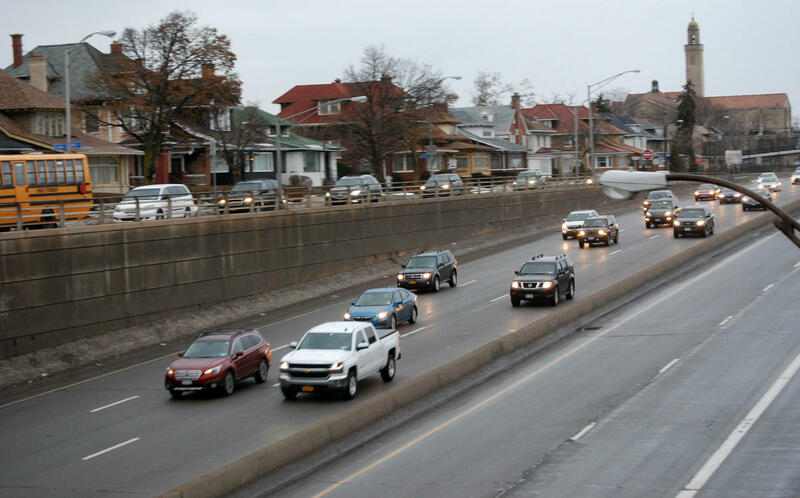 The DOT has come up with options that include lowering parts of Kensington Expressway and running it underneath a parkway. The next step would include scoping and creating preliminary designs, which could cost six million dollars, according to the DOT. “We’ve had about two dozen cities across the country who have accomplished this over the past 40 years,” said Bethel. ROCC estimates it will cost $570 million to fully restore the mile between East Ferry and Best St. The group is now asking for public support so they can secure grants to reunite the neighborhood. “Improved property values, less noise and pollution in our neighborhood, and eventually commercial reinvestment in the Fillmore and Jefferson commercial districts,” said Bethel. They estimate the project would create more than 900 jobs. Inez Hord said it’s worth paying tax dollars to complete. 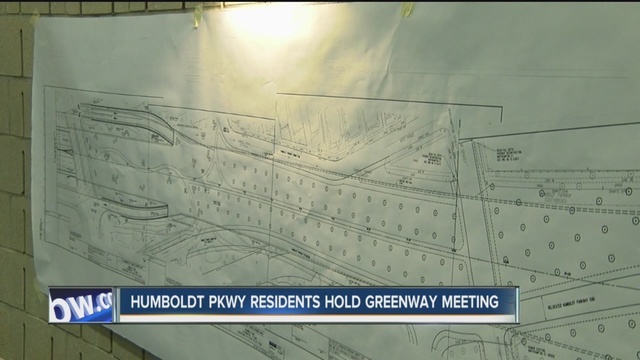 BUFFALO, N.Y. (WKBW) – Residents of the Humboldt Parkway neighborhood came out Tuesday night to build support for their idea to build a park over the Kensington Expressway. Residents say Rt. 33 divides the historic neighborhood. Those activists, with the Restore our Community Coalition, want the neighborhood to have a similar feel for what it used to be. The meeting took place Monday night at the Frank Merriweather Library. Advocates also believe that putting an expressway so close to homes causes health issues. The coalition had four goals Monday night: to discuss preliminary design ideas, discuss other parks that cover highways, review the original parkway in the Kensington Expressway’s place and talk about how to raise awareness. The Restore Our Community Coalition was organized in 2007. BUFFALO, N.Y. — Before the hum of traffic along Humboldt Parkway, there was the sound of wind through trees. Stephanie Geter remembers. “It was gorgeous. Four trees across all the way from Delaware Park all the way downtown,” said Geter, who now lives in the neighborhood. She’s talking about the space between Humboldt Parkway north and southbound. It looked much different before the late 1950s, when work began to build an expressway to help commuters get from the city to the suburbs. “The 33 went in and really divided the community, what was a beautiful portion of the Olmstead Park System, beautiful homes,” said Mayor Byron Brown. “It has dramatically decreased property values, and it has impacted commercial development along Fillmore and Jefferson Avenue, and it has impacted overall morale around the East Side,” said Bradley Bethel, Jr. He’s a research associate with the Restoring Our Community Coalition. Geter is now chair of the group, which is working to change that. ROCC marched along Humboldt Parkway on Saturday to help bring attention to their effort to build a park deck over the expressway. 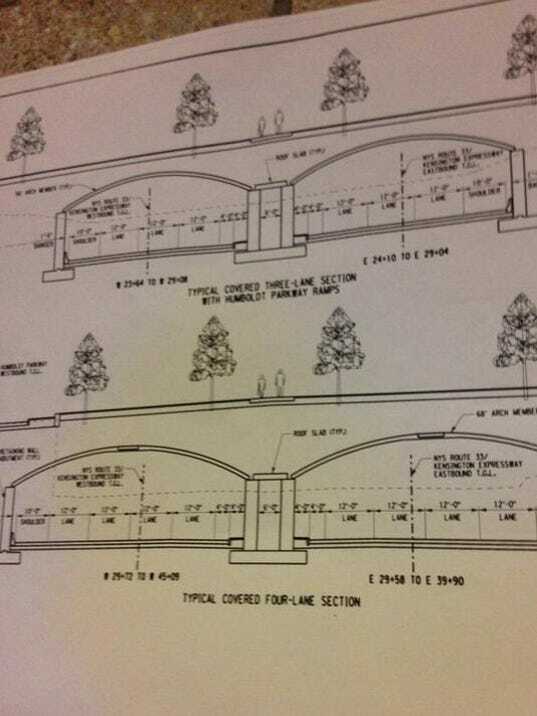 That would involve digging the roadway deeper and constructing cover over it, essentially turning the 33 into a tunnel. ROCC said the plan would have environmental, visual, and economic benefits, and they’re hoping for help from federal officials to make it happen. Brown said he supports reconnecting the neighborhood. He said the project could cost hundreds of millions of dollars that would need to come from a federal source. “This is one of those things that many consider a planning error that occurred in the City of Buffalo, and being able to reconnect both sides of the community…is something many people support,” he said. ROCC said a UB study shows economic boosts could include a potential new tax base of $2.8 million. According to some, the best impact could be including this neighborhood in the city’s overall revitalization.